We got a call from a customer in Miami Lakes that needed her tile and grout clean in Miami Lakes, when we got to her house she told us how hard it was for her to get her tile and grout floors clean. The tile floors was very porous and dirt was deeply embedded inside the porous areas as well as the grout lines. It was a tough challenge to get this tile and grout clean and looking as good as new. We started the process by applying an alkaline based tile and grout cleaner on the tile floors and deep scrubbing it and letting the alkaline tile cleaner dwell for about 10 minutes to loosen up and dirt from the porous areas and the grout lines. Then we proceeded to deep clean with about 1000PSI all tile and grout removing all the dirt embedded for years, the results were amazing. The worst area was the kitchen, check the pictures above for before and after difference. 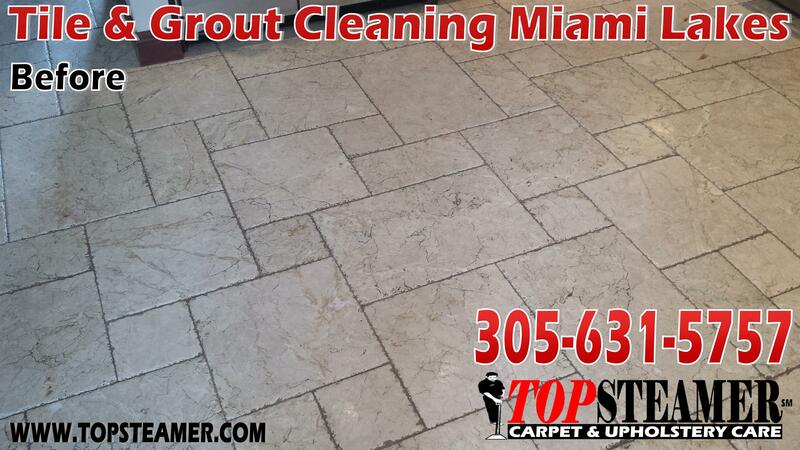 If you need to get your ceramic tile and grout professionally deep clean call us 305-631-5757. 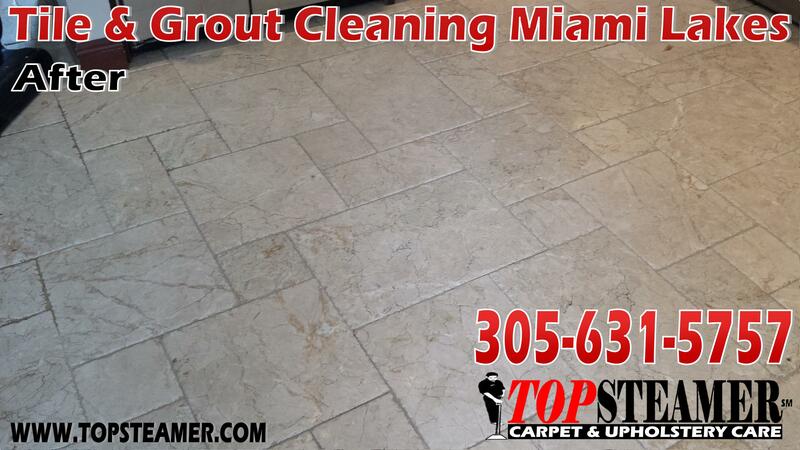 Free estimates, let us restore that brand new look to your tile and grout in Miami Lakes again.